Narbacular Drop is the game that inspired Portal with the student team that developed the game being hired by Valve to work on the Portal series using the same concepts. The game can be downloaded for free from the official website. The plot for the game doesn’t reach the same comedic heights as Portal with very minimal story. 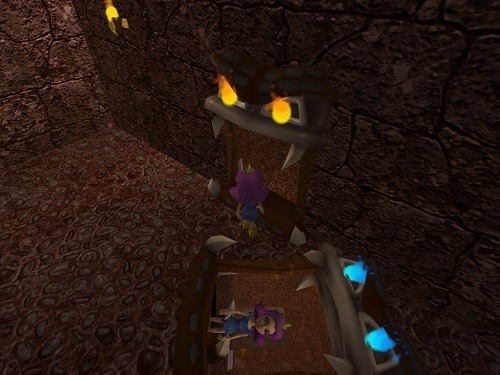 In the game players take control of Princess “No-Knees” who is unable to jump and has been imprisoned by a demon because (for some reason) he decides that she is an important step in his quest to conquer the world. After being taken to the demon’s lair Princess “No-Knees” is contacted by the mountain that the lair is within (known as Wally) and enlists your help to rid the demon from him. He then grants you the power to use portals in order to escape. If you’ve played either of the Portal games the gameplay that Narbacular Drop offers will be instantly recognisable. Players are able to place two portals on two surfaces which will teleport them between the two points. You are unable to place them on metallic surfaces though (as this is not part of the mountain). Left click will create your blue portal while right click will generate an orange portal (sound familiar?). Unlike in Portal though players can shoot a portal through an active portal which does generally make the puzzles easier in comparison. 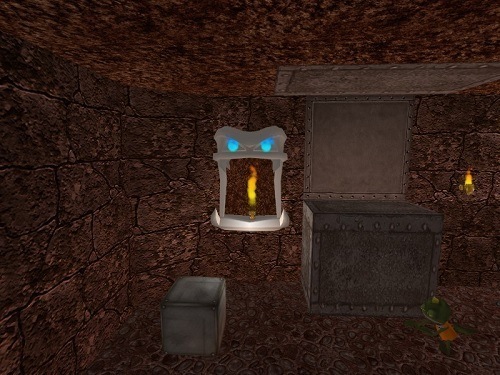 In addition to portals players will also encounter switches, boulders, boxes and the important lava turtles which will help you cross lava on their back. Narbacular Drop is extremely short and won’t take longer than an hour to complete on your first playthrough. The longevity of the game is definitely through the level creator and the large number of custom maps that have been developed by the community. The original idea before Portal. Simple gameplay that revolves around creating two portals. Includes boulders, buttons and boxes for puzzles. Create your own levels and play ones designed by the community.